Foreign exchange market is a decentralized global market, where the world’s all currencies trade. In this currency market, forex brokers play a significant role. Forex brokers provide their clients (forex traders) the access to a trading platform which allows traders to buy and sell foreign currencies. There numbers of forex signal service providers available in the market to help you in trading decisions. Forex signal is the suggestion for entering a trade on a particular currency pair. These signals are generated either through human analyst or automated forex robot (AI/Computerized) and supplied to a subscriber of the signal service. 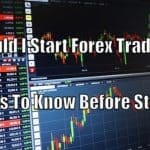 So, How FOREX signals work? Forex signals are sent out by human analysts or automated forex robots or analytical program or the combination of them. It’s all up to a trader whether he wants to follow that signal or not. Forex signals help the trader in taking several decisions on trading. Many new traders follow signals of unregulated brokers and unregulated forex signal services providers, due to lack of knowledge. They follow those signals and at the end, they face a huge loss. A question might arise, Are forex signals legit? 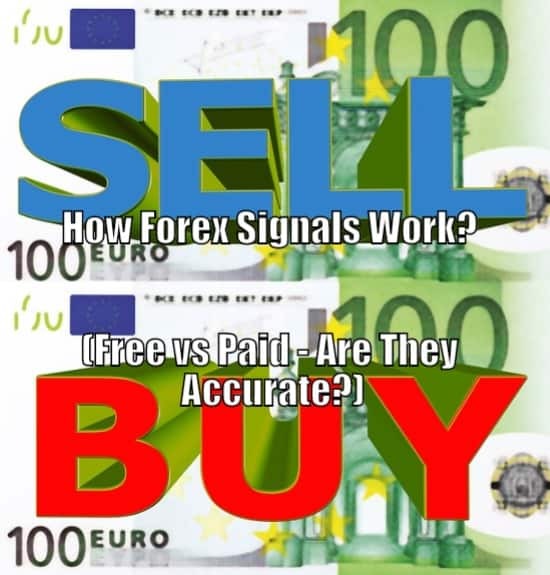 It depends upon the type of source through which you get the signal but, most of the forex signals are not legit. Forex signals are legit only when you get that signal from the right broker or from the right source. Whether you have subscribed for a free forex signal service or any paid forex service, the signal service provider does not assure you that their signal will work with 100% accuracy because we cannot predict this market with pure accuracy. So, forex signal is just a suggestion provided to traders about a good trading strategy. 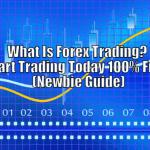 There are numbers of sources through which a trader can get a forex signal. Forex signal could be paid or free, but the important thing is to choose the ideal forex signal service provider who can provide you signal after doing thorough research in the market and not just copy paste work. Unpaid signal services have a very rare chance of its success in trading. This service is normally provided without undergoing market conditions. A company also offer free signal service to promote themselves. Paid signal service could be from a single service provider or from multiple signal service providers or systems. Paid signal service could be by personal analysts or by algorithm analysis. Generally, paid signal service is considered to be more effective as compared to free or unpaid signal service. So, both of these are the type of service offered by various forex signal service providers or brokers. Free signals are provided to attract their potential customers and convince them to buy their services. These signals are either generated manually or through programming. Human analysts provide the guidance to traders on what and when to purchase. They guide traders on the basis of market conditions and also they analyze the market conditions thoroughly. Analysts observe the market activities, they take a currency pair and also observe activities. They observe the activities from the previous day and on the basis of activity observed, they predict the movement of currency pair in the next day. 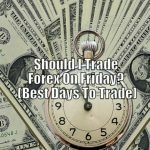 As we know timing and execution are significant factors in the forex market, generally, human analysts traders with also the time of day to execute the actions in the market. In this type of signal, as it is handled by a human, the decision or the guidance a human analyst provide you could be biased. There is the possibility of becoming biased for certain traders in human signals. The signals provided by an analyst does not have statistical accuracy like computerized signals have. Computerized signals are considered to be more accurate as compared to human analysts signals because the signals received through the computer or artificial intelligence are unbiased and accurate. The algorithm analyzes statistics based on the past movement of the forex market. Computerized signals are more efficient than the human signals also at accessing information and picking out the best, statistically accurate data. This kind of signals is generally based on the mathematical formula to estimate when it is a good time to buy or sell a security. The main pitfall computerized signal is, it is a computerized system and cannot understand the current market situation, it can only provide you unbiased results. Computerized signals are just a way to elevate your success, do not have a guarantee for success. Selecting the right service provider can provide you the legit forex signals for the trading. In a paid services, a trader can subscribe for a single service provider or he can also go for multiple service provider, to get the efficient results. 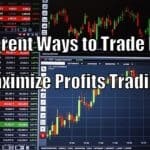 Subscribing multiple service providers increases your cost a little bit but, at the same time, there is the possibility of getting more accurate results in trading. 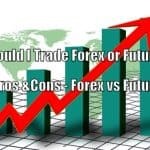 You need to analyze whether your selected forex signal service provider has sufficient knowledge of the market or not. This is very important because many service providers charge money just for copy paste, they get signals from any other third party website (could be for free) and just pass you every time they receive it. So, you need to analyze the selected service provider. Many traders here makes the mistake, they think choosing the right service provider would make them profitable. 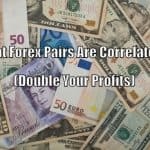 The trader’s duty is not limited to selecting the right service provider, you should also analyze the forex signals you receive. You should not blindly follow the tips given by signal service provider. After you receive and analyze the forex signal received from your service provider, if you find the provided signal accurate, you can implement the signal received. If you find any deviation while analyzing the forex signal, you can discuss with your service provider about that deviation. You should use the signal with consideration of market conditions and when there is the right time to execute the signal’s strategy. 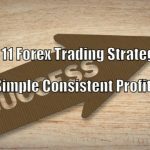 So, the right forex signals are very significant for your success in forex trading. A forex trader needs to be very conscious when following any signal. A forex signal is reliable and legit only when it is received from the right source at a right time. The forex signals are generally designed in such manner that they can be sent very easily to different mediums like e-mail, SMS, Telegram, WhatsApp etc. Nowadays, due to unscrupulous services, it is difficult to find an ideal forex signal service provider.